A Raz Dee, Sayon Kumar Saha & Swarnava Bera initiative through Soul Vibes Records & SB Productions to promote exceptional yet unheard talents from our city of joy. 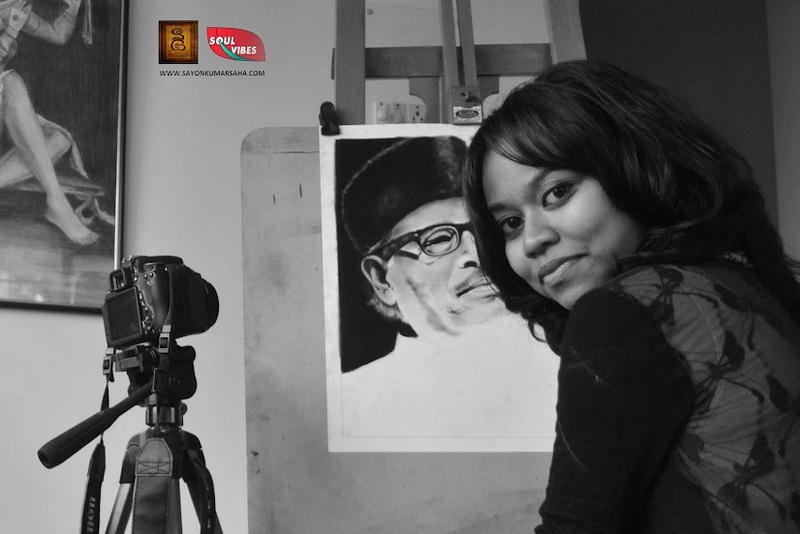 Arunita Barui, a self taught charcoal artist hows you how she creates magic through charcoal. Tanumeeta: What does Soul Vibes Records mean to you? Arunita: I still remember the day when Raz Dee messaged me that he wants me to be a part of the Soul Vibes Records family. We all know only a few get that privilege to be a part of this extremely talented clan. No wonder I was excited and took this opportunity as a healthy challenge. Since then , I have been a part of this, things have only looked up and have helped me grow as an artist, has helped my work reach out to many more. 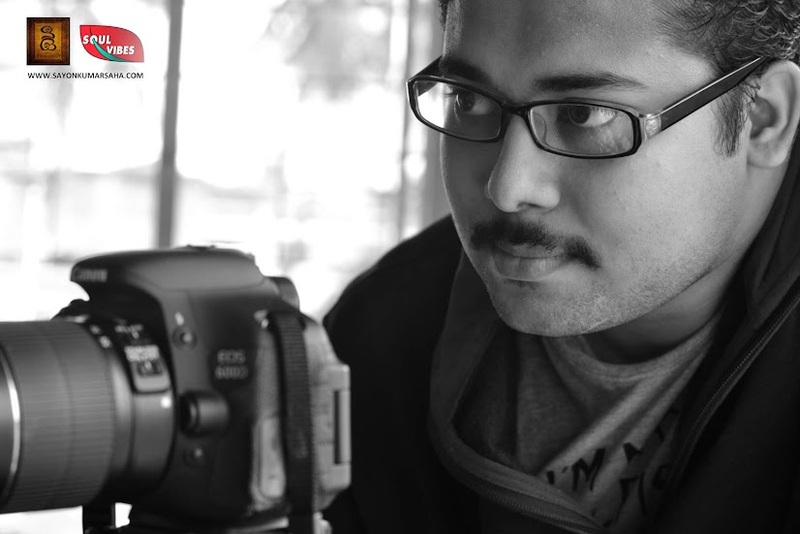 The entire team has been quite supportive and encouraging of what I do. 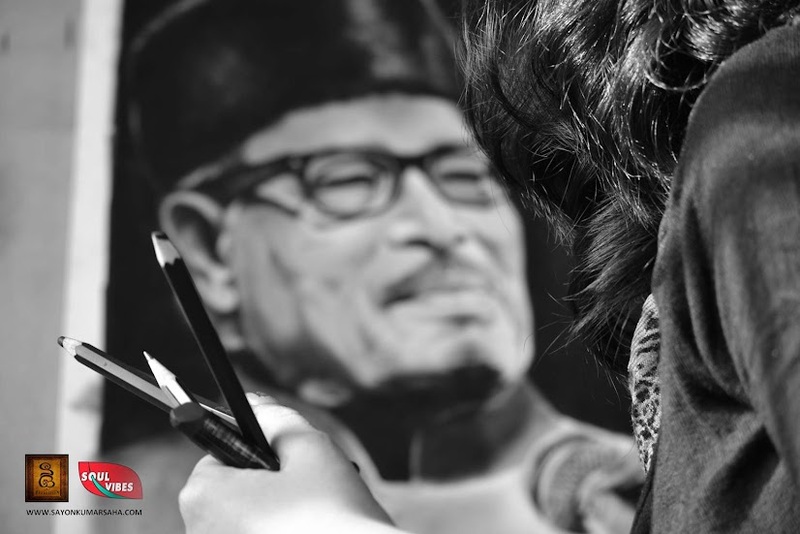 An artist needs inspiration and when you are among with the best, you would never have any shortage of creative motivation. A big thank you for embracing me in the team. Tanumeeta: Speaking of creative motivation, what is art to you? 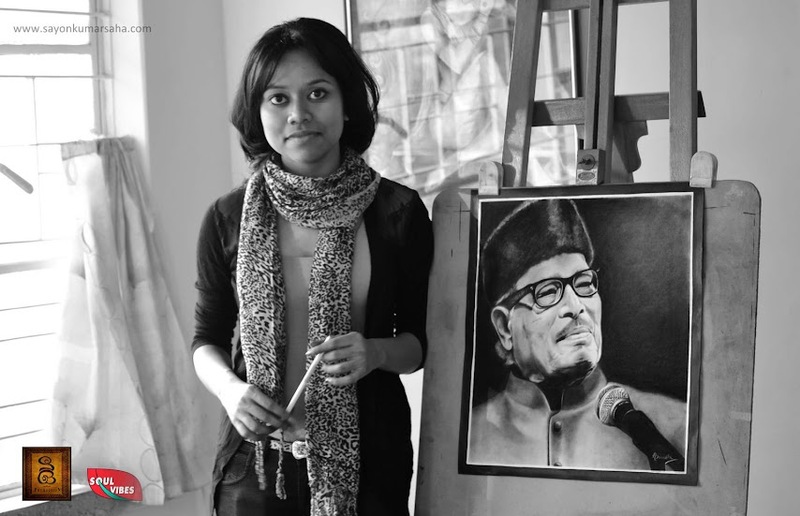 Arunita: Art is a parallel world to me, where I can express myself. I believe everyone has another facet to what they are in real life, and monochrome fathoms the best out of my other side. It answers every question in the most matured manner. 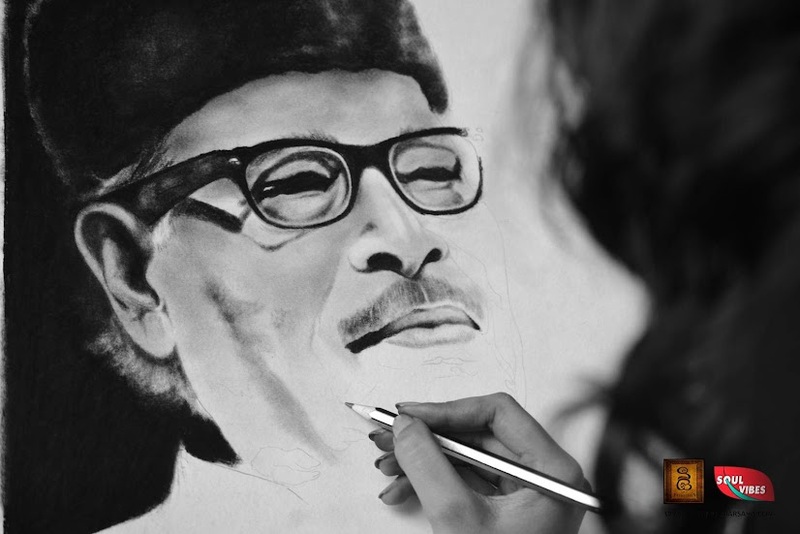 If you ask me, every form of art carries a story in the most condensed form, so do my sketches, once on canvas. Tanumeeta: The marriage between you and charcoal is quite intriguing, what is the chemistry like? 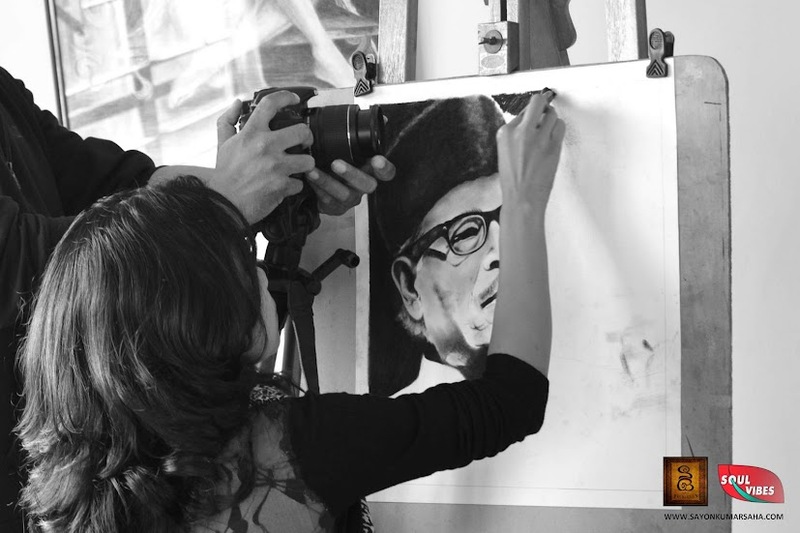 Arunita: Its quite simple, Monochrome appeals to me, when I sketch I feel each and every stroke that I make on the canvas. This certain black and white world has been stereotyped to be boring and sad, but it can be the most captivating domain ever. Its all about how you look at things, its all about thinking positive. 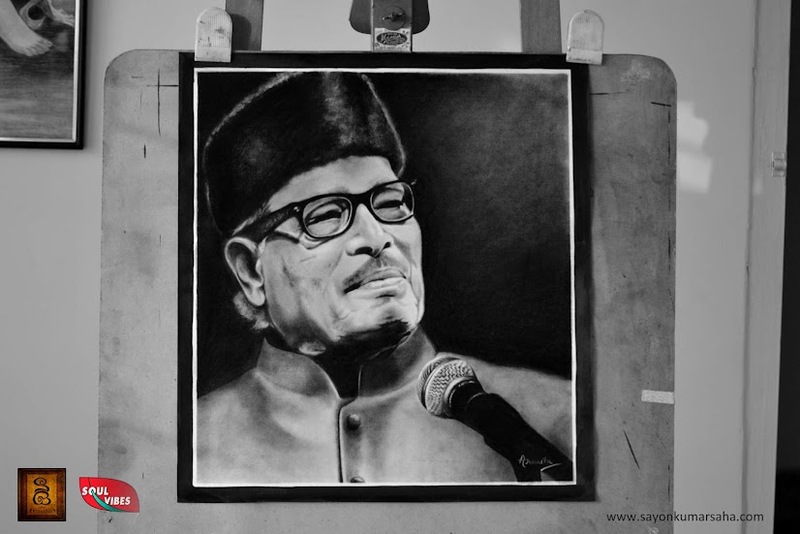 Tanumeeta: Why all of a sudden Manna Dey? 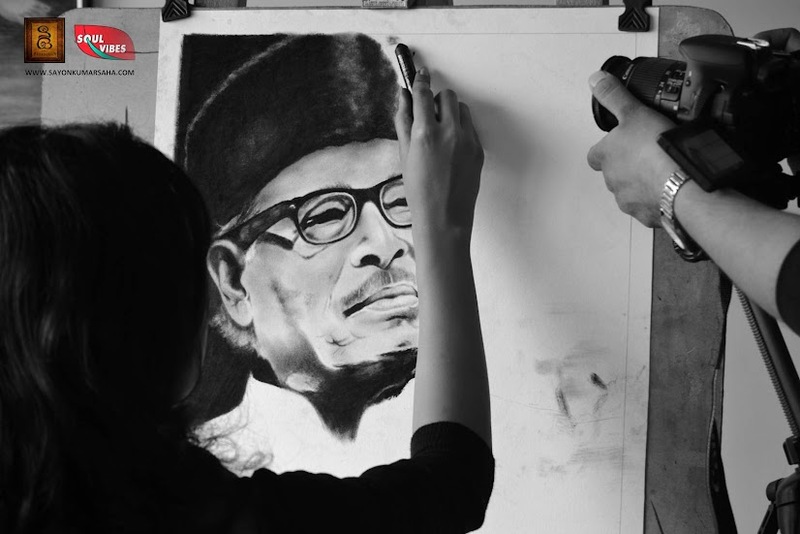 Arunita: Its 1st of May, and is his birthday today, since only thing I know is charcoal sketch, this is my way of showing respect and tribute to the legendary singer. 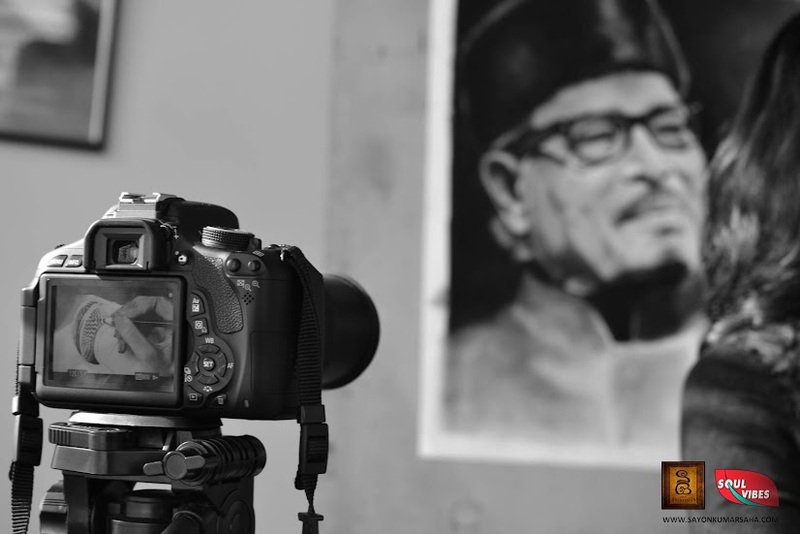 Tanumeeta: We saw the perfection that reflects out of your portraits, what keeps you going? 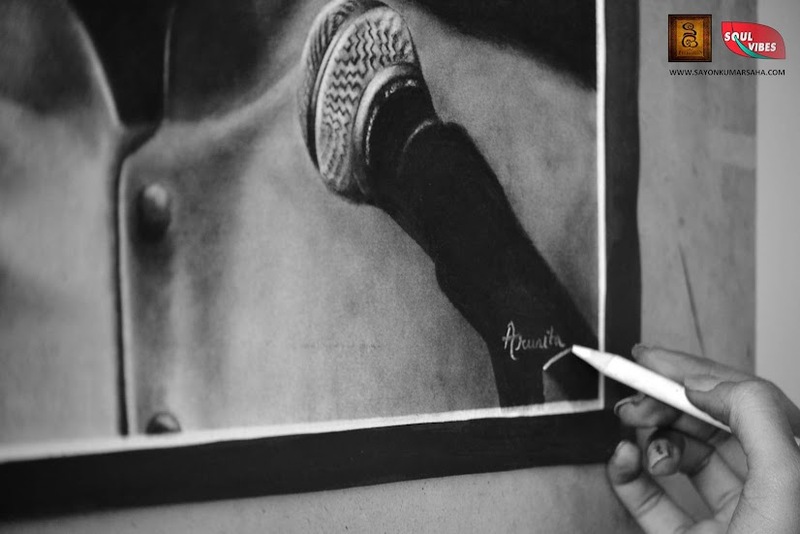 Arunita: I am a self-taught artist and I believe, if you have to be good at something, you have to learn from your mistake, be open-minded and take criticism sportingly. 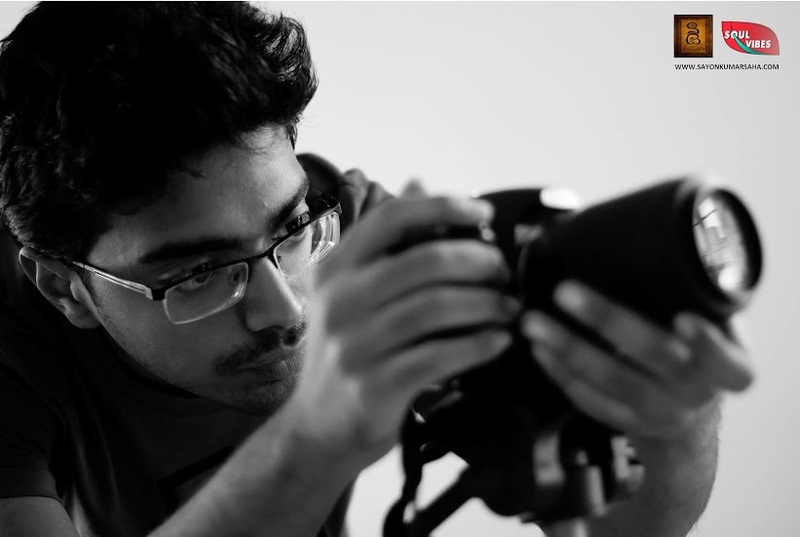 Perfection, if there is any, is not something that I have myself mastered or should get credit for, its my supporters and critics who has helped me through their love support and concrete criticism, that I stand where I stand now. This is what keeps me hungry, this is what inspires. 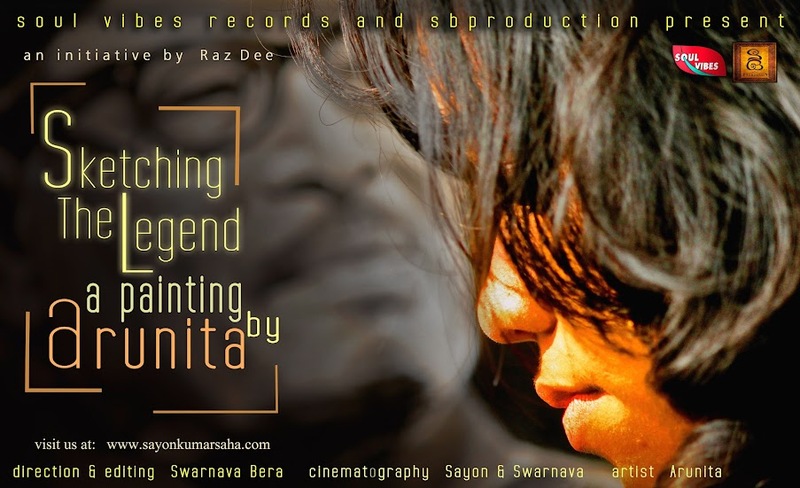 Arunita: Each and every composition of mine is from my heart, so cannot discriminate one over the other. But if you ask me which one is the best composition yet, I’d have to say no creator can run the last mile, there is always more, when I’d come forward and tell you this is my best creation, rest assured that would set a benchmark. But yes, every creation is one better than the last, that’s how I work, taking one step at a time. Arunita: You are also an engineering student, in next 5 years where do you wana see yourself? Arunita: Every day is an experience that we need to savor so we know how to deal with the present, the future. In the process of growing up, my outlook towards life has had several twists and turns, like anybody else, but one thing constant in my life has been charcoal, my best friend, if I may say that. 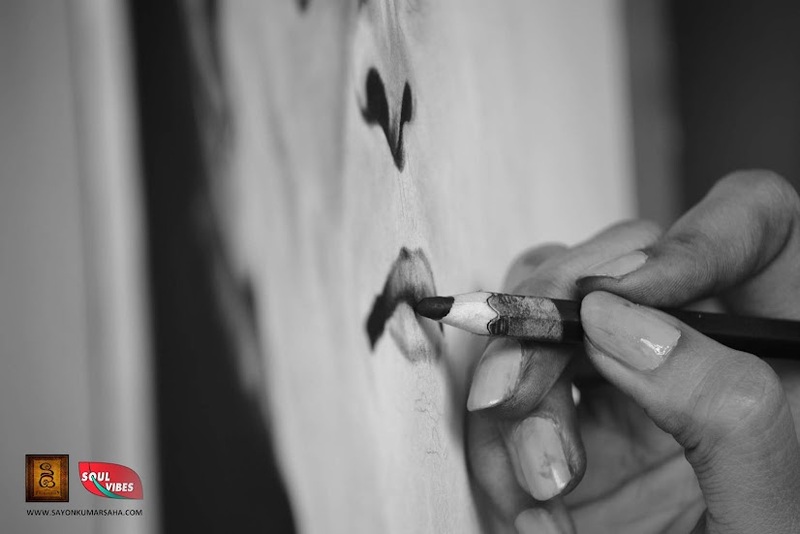 Every canvas that you see is an inspiration in its own, something that is close to me, makes my creative life easier. That’s why they belong where they belong (canvas). Arunita: You mean for my supporters? (smiles); Be humble and passionate, boast less and let your work do all the talking, people are intelligent enough, give your 100% but never be satisfied with your work. You’ll create better. 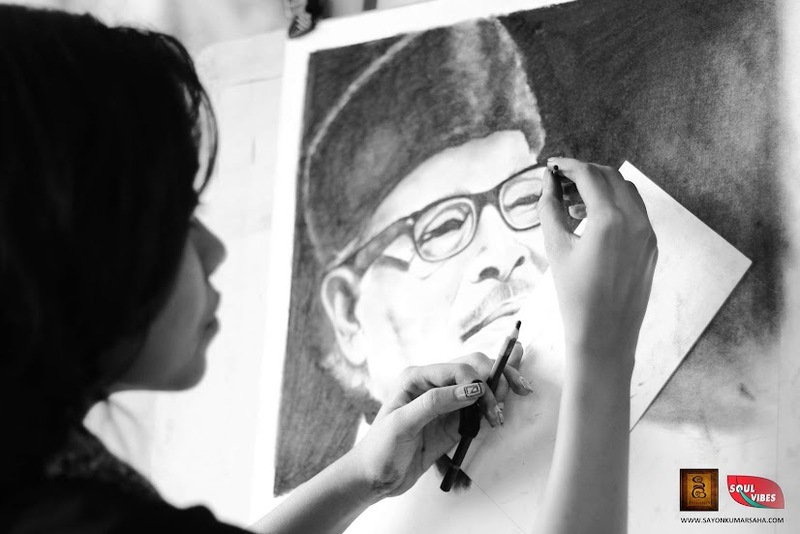 Find more of Arunita‘s work at The Charcoal Story.